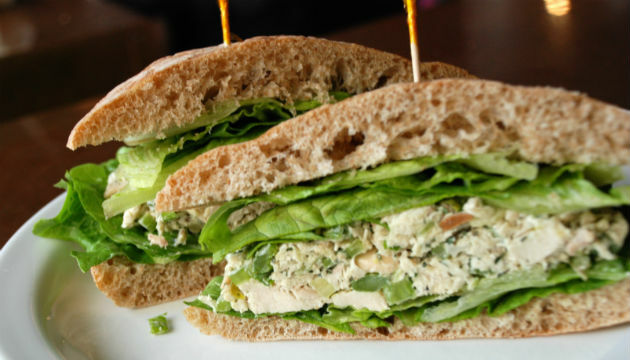 This chicken salad is extreamly high in protein low in carbs and only 4 Weight Watchers points. Stuff into a high protein pita or wrap in a fresh leaf of lettuce or kale. It also makes a great cold dip for nachos or whole grain crackers. If you prefer a vegetarian version, substitute chick peas for shredded chicken but remember to drain and rinse the chick peas to remove as much sodium as possible. Peel, seed and mash the avocado. Gently fold in cottage cheese, greek yogurt, lemon juice, salt, pepper, garlic and shredded chicken. Spread on your favourite low cab bread and top with green onions and cilantro.